Showers”, which is a glittery top coat. 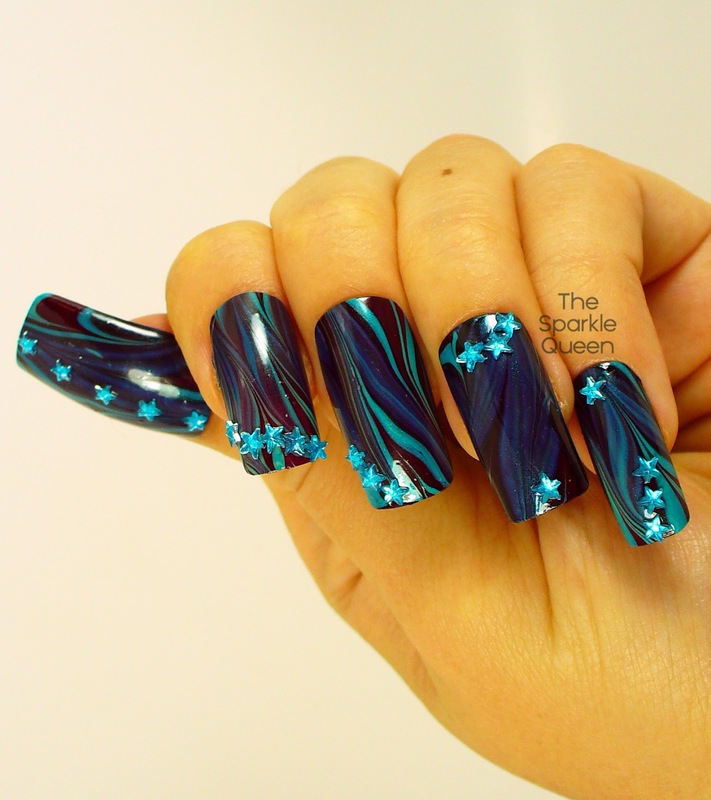 water marble- or are they better off alone? Your water marble is gorgeous and perfect for fall. Love the addition of the cute stars too. It is very pretty! I love it! I remember well the Rainbow Road Track it's the track most difficult to do for me! Your mani it's perfect. Love the color combo! And I too remember the rainbow road track. Is orly polish good for marbling? 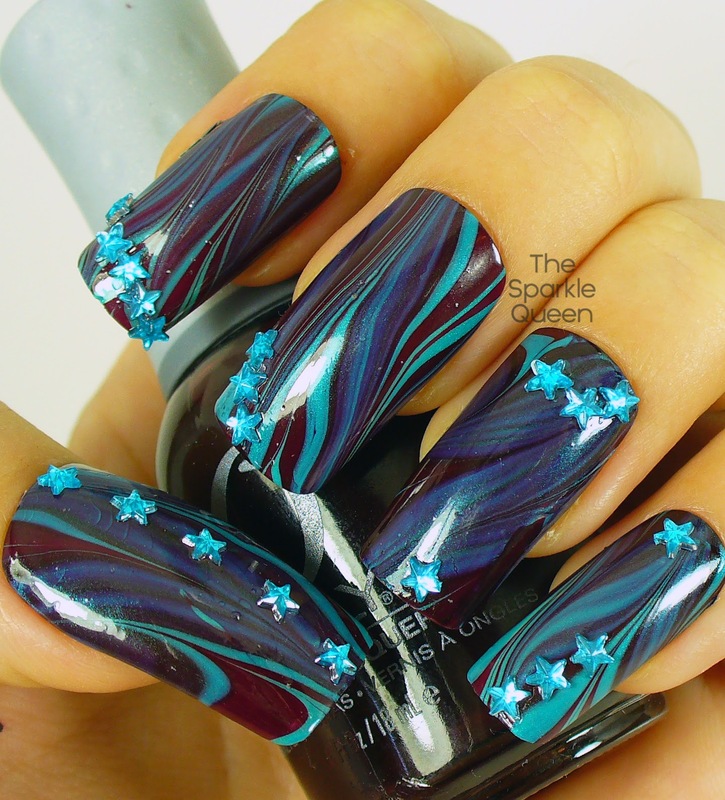 Gorgeous water marble! I'm still having a hard time with this technique, but after seeing this I'm going to keep trying.